Optimized performance design for confidencein the corners & stability in the straights. Advanced tread compound provides extreme grip & superior stopping power. Large angular shoulder blocks enhance precision steering responce & maneuverability. Long lateral grooves quickly evacuate water for superior performance in wet weather. 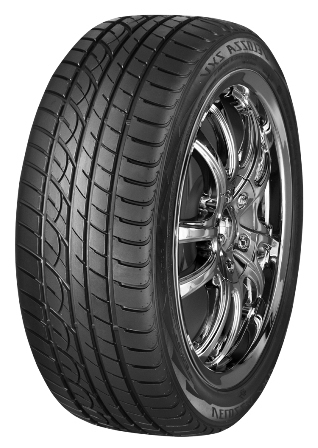 Five rib asymmetric tread pattern for reduced irregular wear & a smooth quiet ride. Reinforced construction (By Size) for increased durability & plus size capability.